Needless to say, both trodden and untrodden paths of Sri Lanka are filled with adventure and intrigue. Have a wonderful safari experience in the Yala National Park to call out the thrill seeker within you. As one of Sri Lanka’s premier safari hotspots, the Yala National Park is a thriving safari hub worthy of exploration. It will give you the opportunity to witness a broad variety of wildlife in Sri Lanka. Covering a land area of 1268 sq. km, the park comprises grassy plains, a light forest, and brackish lagoons. You should plan your trip carefully to get an ultimate safari experience in the wild. Those who wish to spot numerous and appealing wildlife creatures in Yala can now choose to fly with Cinnamon Air and take a tour around the island’s rural charm in minutes compared to hours on road. 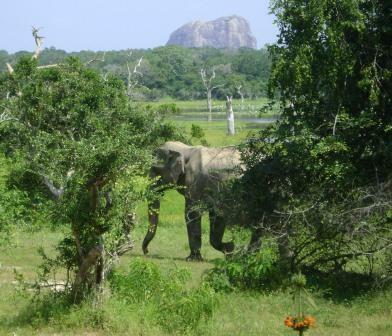 Also, it will enable you to indulge in an incredible Yala National Park safari experience. Being the second largest national park in the country, the Yala National Park is visited by both tourists and locals alike to catch a glimpse of exotic wildlife species in their natural habitat. It is home to 215 species of birds, 45 species of reptiles and including different species of mammals. If you are luckier, you’ll be able to witness magnificent big cat prowls: the Sri Lankan leopard. The months from May to August are the best time to visit the park due to the high probability of seeing a wide variety of wildlife species, including the park’s most popular inhabitants such as elephants and leopards on a tour.